Industrial Tool & Die Corp. was established in 1961 by Charles E. Coughlin. After serving his country during World War II, Charles returned to his home of Evansville, Indiana and decided to follow in the footsteps of his father, becoming a toolmaker. By the late 1940s, Charles had become a foreman and business manager of an Evansville-based tool shop. As a self-taught engineer, Charles consistently recognized the opportunity to improve existing die designs. Charles believed that, by utilizing his own designs, he could offer customers superior products and service. He continued his management position for 15 years, saving enough startup capital to open his own company. 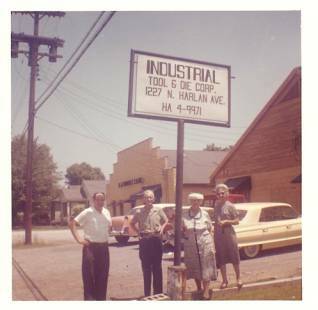 Industrial Tool & Die first opened its doors in 1961 in a 3,500 sq. 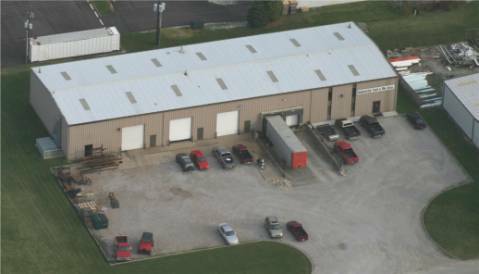 ft. facility on Harlan Avenue in Evansville, Indiana. Charles started the business with a commitment to providing his customers with highest-quality products available. He focused his efforts on building dies and other production equipment to serve the thriving Midwestern manufacturing market. Upon retiring in 1985, Charles E. Coughlin handed the business down to his son, Charles B. Coughlin. As a third generation toolmaker, Charles continued his father’s commitment to quality while diversifying the scope of the business. He purchased his first CNC mill in 1987. Shortly thereafter, Charles purchased computers and CAD programs to automate the design process. He moved the company into its current 10,500 sq ft. location in 1994. The larger facility and new CNC equipment allowed Industrial Tool & Die to expand its product line and increase capacity. Industrial Tool and Die’s current facility on Lexington Ave.
Today, Industrial Tool & Die carries on Charles E. Coughlin’s commitment to quality. Our market has expanded from the Midwestern United States to include customers in Mexico and Canada. Industrial Tool & Die’s tool room now consists of three CNC mills, a CNC waterjet machine, an EDM cutting machine, and various manual mills, lathes, and presses. Utilizing this cutting edge technology, Industrial Tool & Die manufactures custom wire bending machines, tube forming machines, robotic cells, weld cells, and attribute gages. Following in the tradition of Charles E. Coughlin, all equipment is completely designed and built in-house. In 2006, Industrial Tool & Die celebrated its 45th year in business.